The European Commission is preparing legal action against the UK for not enforcing EU law during the Volkswagen Emissions Scandal. According to reports, the UK, Germany, Spain and Luxembourg are all accused of not following EU law and imposing harsh penalties in the wake of the Volkswagen Emissions Scandal. The EC has also criticised Britain for refusing to share details of its investigation into the cheat device used by Volkswagen to artificially lower NOx (nitrogen oxide) gases when under test conditions. The European Commissioner for Industry, Elzbieta Bienkowska, said: "National authorities across the EU must ensure that car manufacturers actually comply with the law." Under current rules, individual EU states are responsible for ensuring that all new cars meet strict regulations on emissions. It is also the responsibility of each nation to issue penalties when the rules are broken by car makers. It is understood that the European Commission has taken issue with Britain's failure to control vehicle emission levels. The EC also feels harsher penalties - similar to those in the USA - should have been issued against Volkswagen and its affiliate brands. If Britain fails to respond to the EC's concerns then it may result with court action at the EU court in Luxembourg. Volkswagen UK has admitted that as few as one in 10 of the one million cars fitted with the cheat device has been fixed. The UK Government has vowed to fight for compensation for owners of cars affected by the scandal. 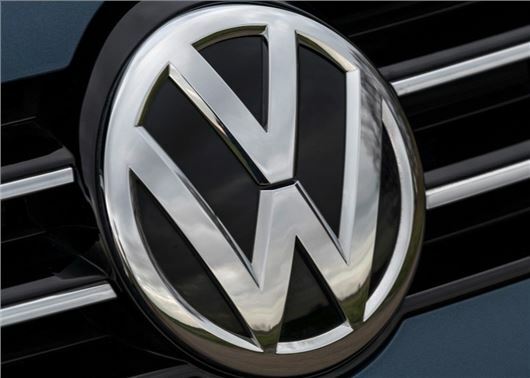 Volkswagen a German car manufacturer, who does not produce vehicles in the UK, has made cars with 'cheating' software, which is now costing it millions in compensation in the USA, and is unlikely to pay out in this country. We now have the EU threatening to take the UK to court because we have not imposed harsh penalties on Volkswagen. Assuming we are found guilty to whom do we pay the fines? The EU obviously, which is essentially run for the benefit of the Germans and French. I wonder if the German and French Governments are being similarly threatened. We'll be out soon, any EU action will fail as a result. Anyway, if a car is running well why disturb the situation with these changes. Sure VW was wrong and ought to be punished, but satisfied motorists should not suffer as a result - but should have the option of insisting the modificatons be put in place. In such instance a standard sum should be paid to the car owner as compensation, based on the engine in question, the mileage driven to date and perhaps the service history too. Will the actual emission figures for these vehicles be entered into their registration documents so that the correct vehicle excise duty band is charged if they have now changed ?. The owners should be compensated as a result. Removing the 'cheat' device will then make these vehicles pollute more ALL the time so it might as well be left fitted unless a major re-calibration is undertaken with the resulting drop off in performance. Volkswagen say that carrying out the update service action will result in no negative impact on engine performance, maximum torque, fuel consumption, noise and CO2 emissions. Where is the benefit in accepting this recall ? I have just received a letter inviting me to get my VW Golf 1.6 "fixed" at no cost. VW has assured me that the fix will not affect performance, torque, MPG or handling. Not convinced to be honest as surely it must have been cheaper to develop such a fix rather than installing complex cheat devices to every car and run the risk of litigation and heavy fines. Weasel words from VW. Fix will not reduce max torque they say !!!. True but it also cuts the hell out of torque at low revs where you spend most of your time in normal driving and pushes max torque further up the rev range. Also the max torque figure quoted by VW is only relevant for max throttle, at part throttle the situation may well be much worse. The engine could feel gutless in normal driving but still meet its previous performance when you thrash it full throttle and max revs. Same principal applies to fuel consumption and noise levels. VW have come up with wording that is most likely true but is also designed to hide the fact they are ruining your car. Its not what they say its what they don't say. I have been a loyal VW owner for many years having owned at last twelve VWs bought from new but have never felt so disgusted by them, not so much for the original cheating but more for their lies and actions since.